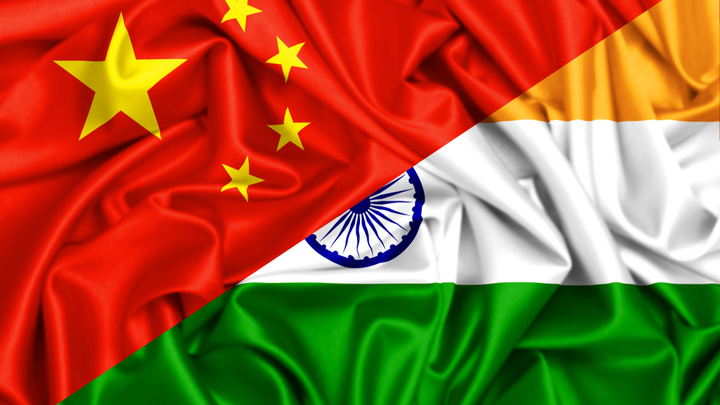 The Indian-Chinese friendship has a thousand-year history. So it turned out. In addition, it is bound by common interests. This was said by Prime Minister of India Narendra Modi during a meeting in the Indian capital of New Delhi with the Minister of Defense of China and at the same time a member of the State Council of the People's Republic of China Wei Fenhe. The phrase about the thousand-year history of Indian-Chinese friendship is not true in fact. But it is important in essence. The essence is simple and understandable: there have been no millennia of friendship between these countries. There were no such countries themselves - they appeared only in the 1940s and almost immediately began to clash. And those state entities that existed in the territories of present China and India thousands of years ago, were not friends, since they were almost completely orthogonal to each other. Those and others were divided by the insurmountable Himalayas, endless Tibet with a hostile to strangers population, no less endless deserts. There were no common borders. The main external "outgrowth" of China - the Great Silk Road - bypassed the Himalayas, and hence, India, from the north. There were no common geopolitical interests. All contacts - sea trade since the time of the Tang Empire, and then more transit, transshipment on the way to the Middle East. The Indians had nothing to offer particularly to the Han people. Except perhaps Buddhism, which through South-East Asia penetrated into China. In general, it's not without reason that such desperately different civilizations formed on different sides of the Himalayas. But the essence of the statement of the Indian prime minister is very significant. When diplomacy rests on a non-existent thousand-year friendship, they signify that they are ready to establish friendship real, modern. So a number of observers have already characterized the beginning of the visit of the Chinese Defense Minister to India as discharging a rather tense situation between the countries. Both countries are almost the same age: modern India became independent in 1947, China appeared on the world map in 1949. At first everything went well. But then friction began. China, which for some reason could not claim a place among the world's leading countries, sought to become the leader of what was later called the "third world". But besides, India aspired. In addition, between the two countries lay almost unattended Tibet, where at the end of the XIX century, Britain did not let Russia, but she could not settle herself. And when England left India, Tibet became an apple of discord. On the one hand, he was independent since 1911 and Buddhist, which brought him closer to India. On the other hand, until 1911, those who did not agree on his ownership, England and Russia preferred to recognize him as a vassal of the Chinese Empire Qing. What in Beijing in 1950 was considered a sufficient reason for the forceful return of Tibet to China. India has endured this. But I did not forget. And on the foreign arena, the policies of both countries began to regularly exchange shrewdness and challenge each other. The matter eventually came to a full-scale Chinese military invasion of northeast India in 1962. In the icy Himalayan deserts, a lot of people were killed, until Beijing was reassured by the pressure of the USSR and the threat that the United States, taking advantage of the occasion, would densely enter India. Then there were two more Sino-Indian border wars - in 1967 and 1987. And recently, in the summer of last year - Tsargrad wrote about this - at the junction of the borders of the Indian state of Sikkim, the state of Bhutan and the Tibet Autonomous Region of the PRC, it again almost came to a new war. The reason is again the road that the Chinese led and which the mountains were not allowed to lay outside the disputed territory on the plateau of Dokalam. And since here almost all the territories are controversial, the parties put their military against each other. Here, on this historical background, the current "unloading" meeting took place. Her tone and background were really like a discharge. Minister Wei Fenghe said that his visit is the continuation of the implementation of the agreements of the leaders of the two countries and will certainly deepen cooperation in the field of military security of the parties and mutual trust, and will contribute to the protection of peace and tranquility in the border areas. For his part, Prime Minister Modi recalled that during his repeated meetings with Chairman of the People's Republic of China Xi Jinping, the two countries established "favorable" relations. So, against the background of the Indian-Chinese friendship with a thousand-year history, the parties "must work together, support each other, achieve mutual benefits and win overall, plan the future." And also continue to strengthen inter-exchange exchanges and cooperation, to jointly maintain stability on the border. On the one hand, yes. Recall that both countries are members of the SCO and BRICS, are in this sense the most important geopolitical partners. In addition, India and China are interested, together with Russia, in overall control of Afghanistan and extrusion of Americans from there, as well as in the general suppression of terrorism. Feel the ground for reconciliation groped? Yes, but it's the East. Here, no one forgets anything. Although, it must be admitted, and in modern realities, Beijing and New Delhi share very much. The first is the economy. Although both countries are important trading partners for each other, Indians are extremely concerned about the trade imbalance in favor of China. Therefore, in New Delhi, Beijing's attempts to increase investments in the Indian economy are met with considerable resistance. The second is geo-economics. China is shaking from an overabundance of money, why it invests in everything that is possible. And develops trade with everyone with whom it is at least a bit profitable. Because the Chinese get into the spheres of traditional Indian influence: Sri Lanka, Myanmar, Nepal. This is not to mention the hostile India of Pakistan. Now, here is added Afghanistan, where India has been heavily involved in its investments, but where China actively pushes its small parts. Today, for example, there are reports that a military base will be built there. The third is geopolitics. Trade follows investment, investment - politics, and politics - military power. Therefore, India with displeasure watches, as in its geopolitical sphere - in the Indian Ocean - the Chinese political and military presence is increasing. Nothing personal, as they say, Beijing simply provides protection to its trade routes. But when in this process he automatically strengthens his political and military cooperation with Pakistan, India gently grinds its teeth. The fourth is infrastructure. Trade routes require not only military protection and political support, but also infrastructure development. China needs more routes as air, for today the fate of the 1.3 billion people depends largely on the sea passage through the Straits of Malacca and the South China Sea. And Beijing, by washing and rolling, is trying to lay at least an oil pipeline through Myanmar. And at least it's expensive. And, maybe, the channel. And, in the long run, there would also be loyal governments. Yes, and the country would be made under control. Or generally add? But with the same logic, China is torn to Pakistan, Iran, Middle and South-East Asia. And to India, of course, too. And India, which sees this logic, firmly refuses to participate, for example, in the project "One belt - one road". But it still feels like an increasingly entangled Chinese transport, political, military web. There are still many such points. In fact, there is a oncoming contact of the two most populous, two economically strong, two independent civilizations. And such contacts, as is known in life, can be accompanied by either handshakes or a counter-fight. What will eventually win in relations between China and India is difficult to say. But judging by the fact that it is military cooperation between these countries that they both are trying to form, despite the ongoing political cold, it shows that the military is choosing the first way. Military cooperation is already a lot. And then we'll see.